RUSH: Judge Napolitano, the human Eddie Munster, who is on Fox News, actually this is last night Fox Business Network After the Bell. David Asman is the great host of that program. And he’s talking to Judge Napolitano, Judge Naps, about me and my comments that Trump should not fire Robert Mueller. NAPOLITANO: I agree fully with what Rush said. I might tweak it ever so little: Don’t fire people. Don’t pardon people. If he starts pardoning the people that have pleaded guilty and become cooperating witnesses with Bob Mueller, it will have the same catastrophic political effects that will prevent them from testifying against him as if he started firing people. What will he do? I hope he does not fire Bob Mueller or Rod Rosenstein. RUSH: But the judge, Judge Naps is not sure that Trump’s gonna listen to anybody. 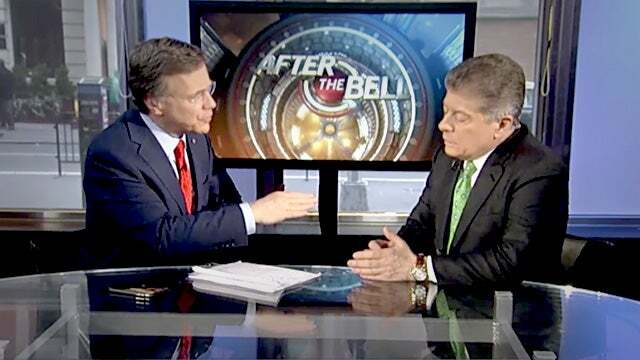 NAPOLITANO: He doesn’t take advice well. He believes that he has a better grasp on his contemporary political situation than anybody else. ASMAN: Even from people who wish him well? RUSH: Okay. Let’s fade that out because we’re running out of time. But you get the thrust is that even though Trump gets all this advice, he still is an independent contractor and does what he thinks is best when he feels it. FOXNews: Should Trump Fire Mueller and Rosenstein?